The truth, however, is that packing pottery well is not especially difficult, and can be done almost wholly with recycled packaging materials if necessary. To help anyone who isn’t sure where to start, we thought it might be useful to provide this illustrated guide to packaging. Here’s how we do it. Bear in mind that this is a fairly small, light item being posted within the UK. For an international shipment, or a heavy item that might shift in transit, we would double box the package. 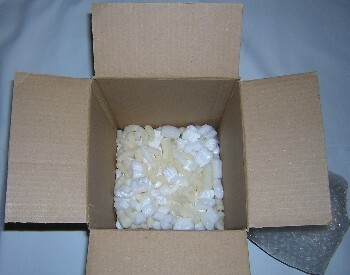 This means that the box pictured would be placed within another box, with a layer of padding between them. 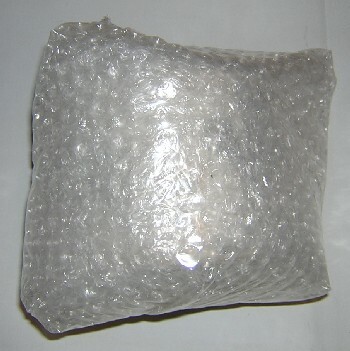 The benefit of this is that even if the outer box is damaged/placed under pressure, the inner box should be relatively unaffected, protecting the item from damage in most scenarios. There’s only one stage left – label the parcel. Small fragile labels are available free from the post office, but proper fragile tape makes more of a visual impact, and is truly unmissable! That’s how we pack things, and we find it works well. It is worth considering double-boxing when posting abroad, although weight and size constraints can make this very difficult. 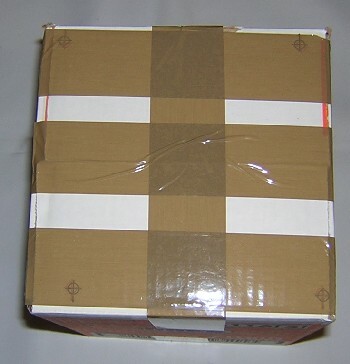 As a general guide, two slightly tighter fitting boxes might still be better than one box if you have to choose, but keeping parcels under 2kg and within the size constraints (click here for details) can be challenging! In case you think we are making it up, here is another, excellent, guide to packaging glass. 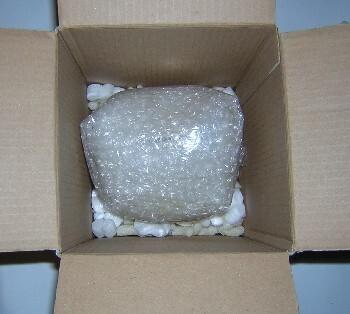 Finding packaging materials can be difficult – especially if you need much quantity. There are many packaging websites that can come in handy – with a full choice of packaging including materials tailored for antiques. We also recycle a lot of packaging, which helps reduce waste. The only other area to consider is how to post your item. In the UK, we always use Royal Mail Special Delivery for items under 2kg, as the parcels are handled separately from other mail and the service guarantees a pre-1pm delivery the next day. For items that are over 2kg or are too large for Special Delivery, we often use Parcelforce 48 and have found this to be a good service too. International parcels over 2kg are a special case. Costs increase dramatically for international parcels over 2kg. Expect to pay £60-£100 or even more for items over 2kg or which are particularly large. For international parcels over 2kg we use Parcelforce or Worldwide Parcel Services. 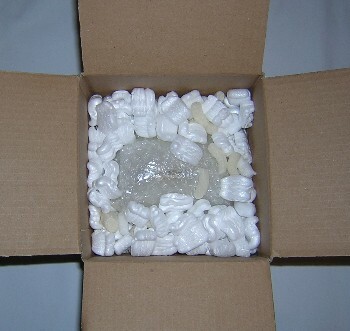 This entry was posted in Posting and Packaging and tagged packaging, packaging pottery, posting, posting pottery, shipping, wrapping on March 25, 2007 by Perfect Pieces.